The laptops with built-in 3D-capable displays on the market are still not that many, and most of the systems that do have 3D displays are high-end and targeted at gamers and that actually makes sense considering the extra price you have to pay for the 3D display. Active 3D technology seems to be the most popular among these solutions, though there are a few solutions offering autostereoscopic 3D displays and in the lower end price segment there are multiple options with passive 3D displays. 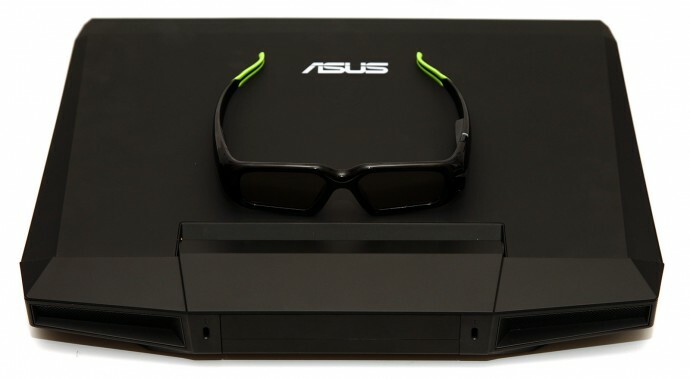 And while it definitely sounds nice to have a laptop with a 3D-capable display, most people actually get a normal laptop with a 2D screen and at some point of time decide that they want to connect it to a 3D monitor, 3D projector or a 3D HDTV that they already own. And usually this is where the problems start along with the questions why it does not work. That is why I’ll give you some useful advice on what to look for in a laptop if you plan to using it in stereoscopic 3D mode with an external 3D display of some kind at some point in time and you want to make sure that you are going to be able to. I’ll be starting with active 3D displays that are capable of supporting 1080p resolution at 120Hz or 60Hz 3D mode at Full HD resolution as these are the most demanding ones. Usually for such a monitor you will need a Dual-Link DVI port and these are rarely seen available on laptops nowadays, you may be lucky to find such on a bigger and more powerful multimedia or gaming laptops only or on an external docking station for mobile workstations or business class laptops. Alternative solution would be to look for a DisplayPort connector that also has enough bandwidth to output 3D at high resolution and refresh rate (if you have a 3D-capable monitor with DP support) or if you add in an active DP to Dual-Link DVI adapter. If you are going to be connecting a passive 3D monitor or 3D HDTV to your laptop things are much easier as these solutions can accept the stereo 3D image in a single 1080p frame at 60Hz, so the bandwidth requirements are no different than a standard 2D image. The drawback of using this technology and the Row Interleaved method is that you essentially loose half of the vertical resolution of the image when in 3D mode. But the good thing is that you can at least use pretty much any interface that can output 1080p 60Hz for sending the 3D image to the 3D display and since HDMI is nowadays so common that pretty much any laptop has it you’ll be covered for that. Next up are 3D HDTVs and some Full HD 3D projectors using HDMI 1.4 interface for stereoscopic 3D support. This is a standard interface and you may be able to use a lot of laptops that have HDMI output to connect to such 3D HDTVs and feed them with 3D content, you just need to make sure that the laptop has a GPU capable of supporting HDMI 1.4 frame packaging 3D output as not all do. Due to the currently more limited bandwidth capabilities of the HDMI chips used in 3D HDTVs you are essentially limited to using 1080p 24Hz 3D mode for movies and 720p 50/60Hz 3D mode for gaming, and there is no support for 120Hz in 2D mode. The good news is that people with passive 3D HDTVs can skip the HDMI 1.4 frame packaging 3D support and the limitation for the lower refresh rate at 1080p and instead go for Row Interleaved output for 1080p 60Hz 3D mode, but with half vertical resolution, so there is still some trade off, but this is an extra option that owners of active 3D HDTVs to not have. Moving on to 3D DLP projectors, most of these use frame sequential input, so they still need high refresh rates, however due to the fact that there aren’t that many Full HD models (these tend to use HDMI 1.4) and most consumer models are up to 720p resolution, so you should be fine connecting these to a laptop. The 3D DLP projectors either have a VGA or an HDMI connector, the two most commonly available interfaces on laptops at the moment, and for both the 120Hz refresh rate is not a problem at the lower resolution that the devices use. Ok, so far I’ve talked about the interfaces and the requirements and limitations about connecting different 3D-capable displays to a laptop, but this is just the start of things as the next step is much more important in order to be able to actually output stereo 3D content to the display and not just be able to connect it. It is not only important what video outputs you have available on your laptop, but also what graphics processor they are connected to, because you’ll have to find a software that needs to be able to work with them properly for the stereoscopic 3D output. And since we have three major makers of GPUs (AMD, Intel and Nvidia) things can get a bit complicated here, especially depending on what kind of stereoscopic 3D use you need with your laptop. Switching graphics is your enemy number one for stereo 3D use on a laptop, no matter what kind of manual or automatic switching between an integrated Intel and discrete AMD or Nvidia graphics you have this thing may prevent you from properly using the right software for outputting stereoscopic 3D content from your laptop. For example the Nvidia Optimus technology is a nice and useful feature that can extend your battery life when you don’t need to use the more powerful discrete graphics chip, but it also prevents you from using 3D vision, “Optimized for GeForce” or the 3DTV Play software solutions for outputting 3D content to a compatible 3D display. So try to stay away from such technologies if stereoscopic 3D support from your laptop is important for you, though if it is only for playing 3D movies on your 3D HDTV for example you may still have an option available. Even if you have a laptop with integrated Intel GPU and a discrete graphics chip that uses some sort of switching between the two graphics processors, and thus you are unable to use the discrete chip for stereo 3D, you might still be able to get the integrated one to work. And while Intel’s GPUs integrated in their processors are not powerful enough for stereoscopic 3D gaming, they do support HDMI 1.4 and have enough performance for stereoscopic 3D photos and 3D movie playback, including Blu-ray 3D. That is if you happen to have a compatible chipset and processor that can support HDMI 1.4 and stereoscopic 3D output. What you’d need to have is at least a second generation Intel Core processor (Sandy Bridge or the newer Ivy Bridge platform) in order to have support for Intel’s InTRU 3D technology, and this means Intel Core i3, Core i5 or Core i7 CPU, Pentium processors won’t do as they don’t feature InTRU 3D support. All of the major software Blu-ray 3D players do have support for Intel’s stereo 3D implementation, so the software side is well covered. Ok, so we now know which Intel integrated GPUs do support stereo 3D, but what about the supported AMD and Nvidia graphics processors used in mobile computers. Both companies have stereo 3D support for a wide range of their more recent graphics processors, though Nvidia’s support covers way more older generations than AMD’s. Looking at the official list of compatible mobile Nvidia GPUs you can see that everything from the GeForce 200M series up until now with the 600M series is compatible with the company’s stereo 3D technologies, however even the older GeForce 8000M and 9000M mobile series should also work. But you should be careful with for the presence of a GPU switching technology as even though a GPU might be compatible with stereo 3D, that technology may be preventing it from properly providing 3D support. Currently AMD only lists their latest Radeon 6000M series of GPUs as compatible, but their previous 5000M series also supports AMD’s HD3D technology and you might be able to even get some stereo 3D support on older GPU generations even though they do not provide support the AMD HD3D technology. Probbaly not many of you are aware what exactly is this thing called “Optimized for GeForce” that Nvidia actually does not promote a lot, so you don’t have an idea what it is. Nvidia puts the “Optimized for GeForce” logo on products that have licensed their 3D software for use on passive 3D solutions or autostereoscpic 3D ones. Nvidia actually calls this 3D support for entry level glasses-free and passive 3D displays and unfortunately there are just a few products that carry that logo and provide support for the same thing that 3D Vision offers on active 3D displays with the difference being that on passive 3D displays you get half vertical resolution in 3D mode and half horizontal resolution in 3D mode on autostereoscopic 3D displays. The rest is essentially the same – the same number of profiles of 3D games, the same interface and control of the 3D effect, the same support and software for playing back 3D videos and opening 3D photos. So why isn’t the “Optimized for GeForce” solution more popular and widely used on different 3D-capable products that have passive or autostereoscopic 3D displays? It is hard to properly answer that, but considering that DDD has teamed up with the two major OEMs making 3D displays in general as well as 3D monitors for PC – Samsung for active 3D and LG for passive 3D, it is probably not that easy to convince them or other makers of 3D displays that you have better alternative. You either have to offer better price for the license agreement or coming in other way, but there is one other major disadvantage that “Optimized for GeForce” has and that is the fact that it will only work on systems that have Nvidia-based 3D-capable graphics cards, so that essentially limits the users a bit. So the question here is why Nvidia is not more active with their “Optimized for GeForce” solution now, especially considering the fact that the other competitor besides DDD and their TriDef 3D software – iZ3D, has stopped developing their software also supporting passive 3D displays for a while now? At the moment there are only two 3D-capable passive 3D monitors supporting the “Optimized for GeForce” solution and they are both from Acer – ACER GR235H and ACER HR274H, and there are two series of autostereoscopic 3D-capable laptops from Toshiba – TOSHIBA QOSMIO F750 and TOSHIBA QOSMIO F755. But in reality out there there are a lot of passive and autostereoscopic 3D capable display devices that should be compatible and may be able to work with “Optimized for GeForce”. So why doesn’t Nvidia go the same way with “Optimized for GeForce” as they did with their 3DTV Play software for 3D HDTVs – offer users of passive 3D displays to purchase a license and use the software with their 3D-capable hardware (with glasses-free solutions it may be a bit harder as there are various implementations available). This would actually give an alternative solution to those that use the bit outdated already iZ3D Driver or the TriDef 3D software and want to have another solution that might work better on other hardware, provided that they have a compatible Nvidia-based video card. Of course there are always other methods to make things work on not officially supported hardware like to use an EDID override driver from another compatible monitor, but while this works well most of the time, there is no guarantee that it will work in your case or will not give you different trouble, so it is not very recommended… but when you don’t have another choice. What do you think, should Nvidia reconsider their strategy for “Optimized for GeForce” and offer it not only as a licensing option for hardware manufacturers to bundle it with their 3D-capable displays, but also to offer licenses of the software to end users of passive and autostereoscopic 3D solutions as well?